Summer is not the only time you can visit 30A. Winter has its charm, too! Enjoy the Florida sunshine and escape the crowds when you plan a holiday vacation at Adagio. There are plenty of Christmas celebrations to attend, including one of our favorites — the Sandestin Festival of Trees! This is one of the most anticipated events in the area, and if you keep reading, you’ll understand why. Download our free Vacation Guide to get more information on local restaurants, shops, outdoor adventures, and more. Then, start planning your getaway! The Sandestin Festival of Trees is not just a display of trees. It’s a contest! For more than six years, local non-profit organizations have competed to create the most glorious Christmas trees for a chance to win $5,000 in cash prizes. The festival showcases more than a dozen trees each year (starting the Tuesday before Thanksgiving) and a panel of judges votes for the best tree. The overall winner and People’s Choice winner are announced on November 24th. Did you know? You can bring the whole family to the festival! 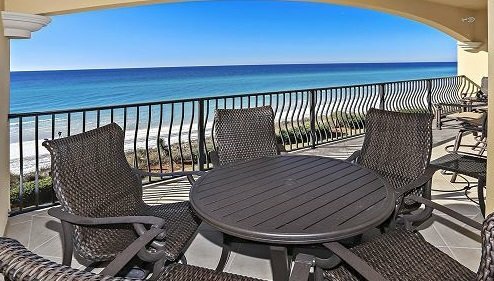 It’s a great opportunity to marvel at decorations with loved ones and participate in 30A’s community life. The Sandestin Festival of Trees takes place at Grand Boulevard Town Center, which offers a myriad of activities and holiday specials. While you decide which tree you want to vote for, visit a few retailers and restaurants next door! Complimentary refreshments are available, so don’t hesitate to grab a drink while you learn more about participating organizations. The Christmas fun doesn’t end with the Festival of Trees. In fact, Grand Boulevard offers several holiday activities and events you don’t want to miss. Come meet Santa at the Grand Park every Saturday and take pictures. (Arts and crafts are available for your little ones while they wait in line!) If you are traveling with your significant other, consider taking a romantic, horse-drawn carriage ride and marvel at the light displays all around Town Center. You might even meet a few carolers on your way! 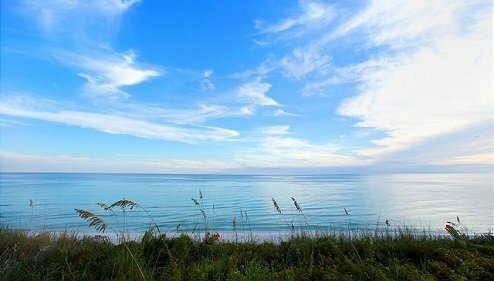 This Christmas, give yourself the best gift of all and enjoy a fabulous stay in 30A, Florida! Adagio has upscale vacation rentals that will kick your holiday vacation up a notch. Whether you want to gather the family or plan a romantic getaway, our high-end amenities and fully-equipped accommodations can help you make lifelong memories. Take a look at our G-205 unit, for example. Its warm, earthy colors are perfect for the winter season! Here you can take it slow and relax in the best atmosphere possible. 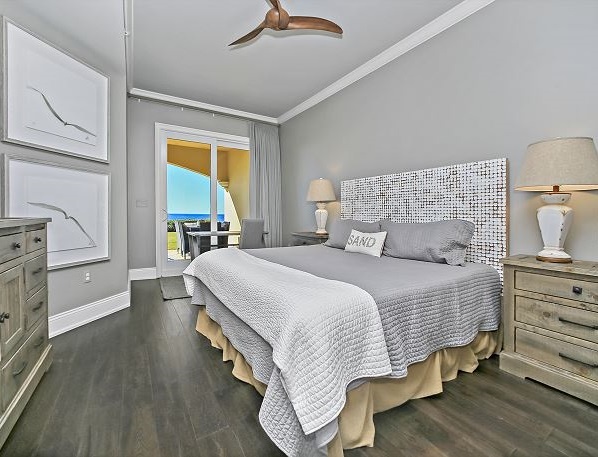 Enjoy a glass of wine on the balcony, cozy up on the couch at night, cook a delicious dinner in the kitchen, enjoy the Jacuzzi tub in the private bathroom, and get a good night’s sleep in the king bed in the master bedroom! 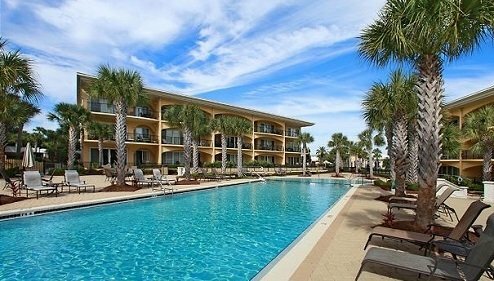 And with all our Adagio rentals you’ll have access to two pools, including one overlooking the scenic Emerald Coast. Your Guide to the Best Seasonal Sandestin Events — Mark Your Calendars and Stay In Sandestin for New Year’s Eve!